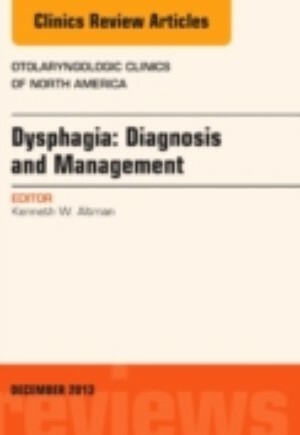 Information on Dysphagia for Otolaryngolotists in this issue of Otolaryngologic Clinics: Emphasizes procedure-oriented evaluation and management; Discusses the importance of this subject in terms of medical and surgical risk; Heightens Otolaryngologists' role in dysphagia patient care; Provides a set of recommendations to standardize the approach to these complicated patients; Describes aspects of dysphagia concisely, with prominent use of Tables and Figures. Among topics presented are: Etiology of Dysphagia; Dysphagia Screening and Assessment Instruments; The Modified Barium Swallow; Functional Endoscopic Evaluation of Swallowing; Esophageal Disease; Ancillary Testing in the Evaluation of Dysphagia; Malnutrition and Dehydration; Management of Cricopharyngeal Dysfunction; Zenker's Diverticulum; Glottal Insufficiency with Aspiration Risk in Dysphagia; Global Laryngeal Dysfunction; Screening High-risk Groups, Pathway for Intervention, and more. Guest Editor Kenneth Altman of Mount Sinai, whose expertise, clinical work, and teaching is focused on laryngology, leads the group of expert physicians in this issue.